I've been giving a lot of thought to establishing some weekly series blog posts. My thoughts are going kindof like this: Makeover Mondays: thrifted finds that were given a new life Tending the Garden Tuesdays: gardening projects, ideas and tips What We're Up To Wednesdays: current projects around our cabin Tasty Thursdays: a recipe using something in season from the garden Frugal Finds Fridays: my favorite frugal find(s) that week With that said - here's my first official Makeover Monday project: A wood bread box from my dads work. He saved it from being thrown away because he thought I might be able to "do something with it". Structurally it was fine. It was just dated and you couldn't really read the etching on the glass. It had some contact paper on the inside too. I took it apart, cleaned, sanded and painted it. I decided to go with black for this one. 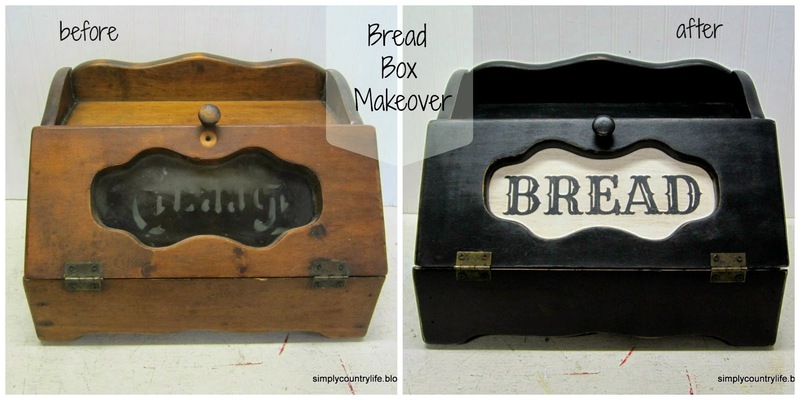 I have recently made over two other bread boxes. One I did white just like this one and a rolltop one that I did in red. 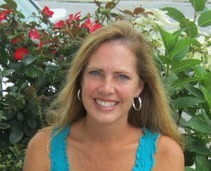 You can see their makeovers here. 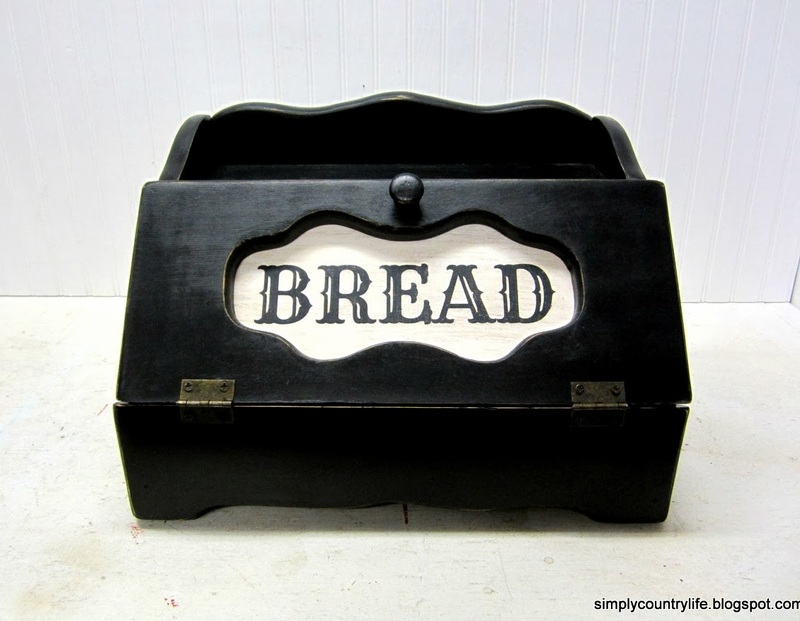 After I painted the entire bread box black, I lightly distressed it. I also replaced the glass on the door with a thin piece of wood. I painted it white, then hand antiqued it and painted the lettering on in black. I used my Sihlouette Cameo to create a stencil for the letters. 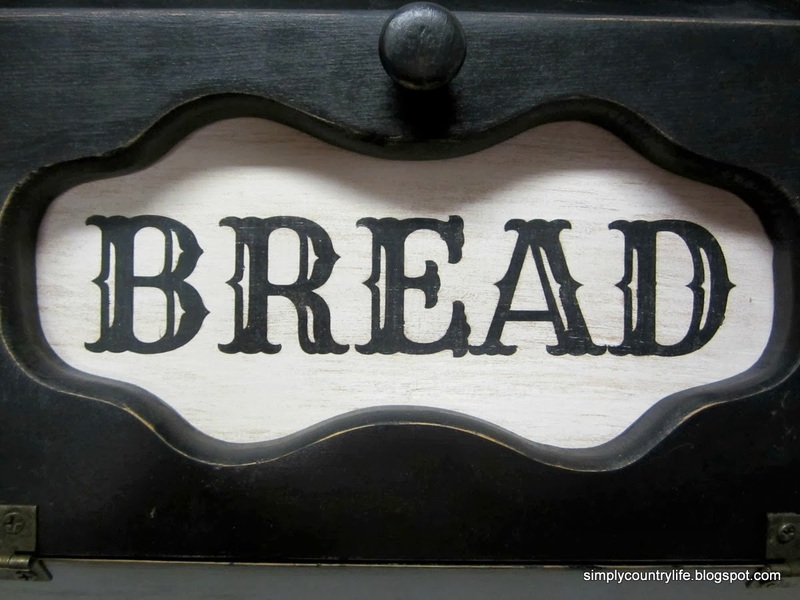 I nailed this piece of wood, with the word BREAD on it, to the inside of the door. Then I reattached the door using the original hinges and nailed the back on. That's it - another bread box done! I'm pretty sure we had a bread box similar to that when I was a kid! You did a great job giving it new life. Thanks for sharing at The Makers.